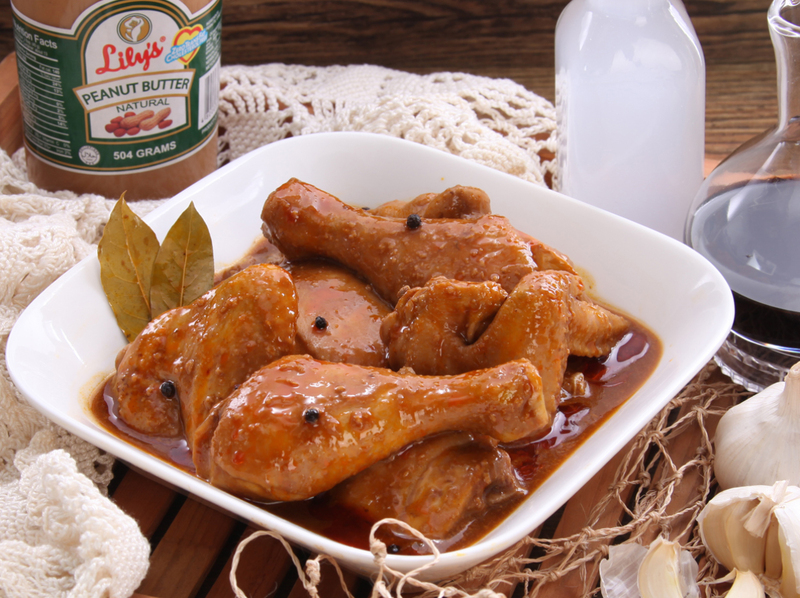 Revive an iteration of a world-famous Filipino classic, with an addition of a sweet twist, in this recipe of Adobong Pula with Lily’s Peanut Butter. Tender chicken pieces are glazed with a lip-smackingly dense sauce of peanut butter, annatto oil, soy sauce, and vinegar: guaranteed to have you and your guests asking for seconds. High in protein, anti-allergenic properties, and heart-healthy fat, a second serving doesn’t sound bad at all. Heat oil in a pan and add atsuete seeds. Saute until oil turns red. Strain atsuete seeds from the pan. Using the atsuete oil, saute onion and garlic until onion is translucent and garlic is golden. Add in chicken pieces, stirring occasionally, until chicken pieces are lightly browned on all sides. Add in water and soy sauce, allow to simmer until chicken is tender. Add vinegar. Allow the vinegar to evaporate before stirring. Mix in Lily's Peanut Butter, bay leaves, pepper, and sugar. Serve with rice.